Delaware Company Files Trademark Application for COTTON CANDY COMB OVER...Any Problem? When I clicked this trademark application, I had an idea as to what it may be referring, and sure enough my suspicions were confirmed. 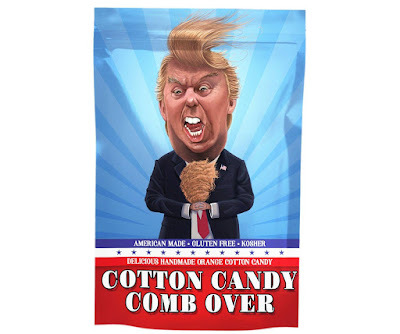 On May 22nd, a Delaware company called Integrity Brands, LLC filed a federal trademark application with the U.S. Patent and Trademark Office for COTTON CANDY COMB OVER [standard characters] covering "candy; cotton candy" in Class 30. According to the application, the applicant has been using this mark since at least April 1, 2017. The specimen submitted with the application, which shows the manner in which the mark is seen by the public (see TMEP 904 et. seq.) and is pictured below, shows you where the applicant got this unique idea for their cotton candy. Are there any issues with this application? Is the applicant entitled to a federal registration for this mark? 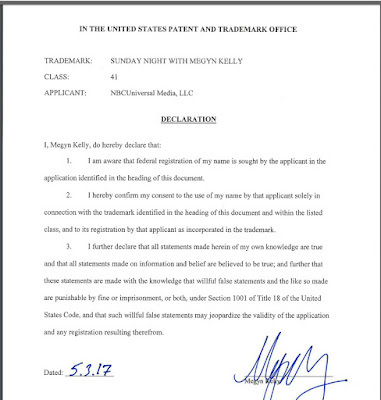 A couple sections of the Trademark Act that might apply are discussed below. 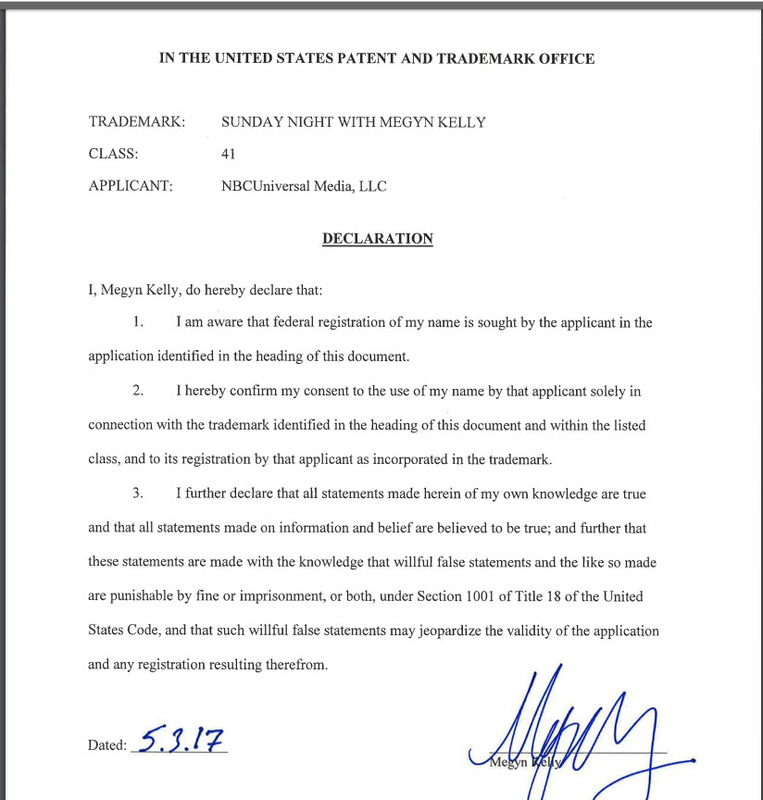 Section 2(c) of the Trademark Act (15 USC 1052(c)) is an absolute bar to the registration of a mark that "consists of or comprises a name, portrait, or signature identifying a particular living individual except by his written consent..." This bar applies not only to full names, but also "first names, surnames, shortened names, pseudonyms, stage names, titles, or nicknames." TMEP 1206.01. However, unlike the application for TRUMPMOJI that I blogged about last year, which was refused registration under Section 2(c) for using Trump's name, this mark does not contain anything referring to Trump, just the words COTTON CANDY COMB OVER. 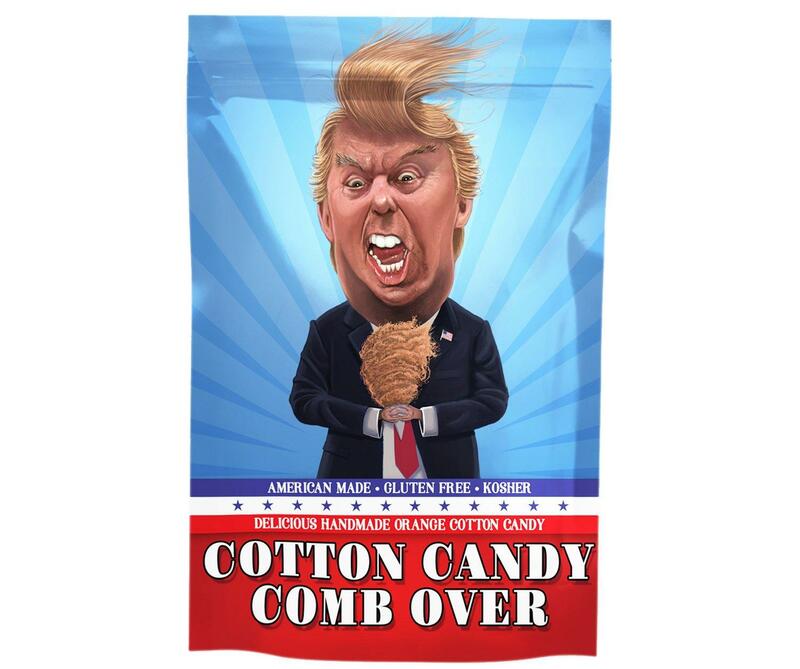 The specimen shows how the public views the mark, but nothing other than the words COTTON CANDY COMB OVER are the subject of this trademark application. What about Section 2(a) (15 USC 1052(a)), which bars the registration "of a designation that consists of or comprises matter which, with regard to persons, institutions, beliefs, or national symbols, does any of the following: (1) disparages them; (2) falsely suggest a connection with them; (3) brings them into contempt; or (4) brings them into disrepute"? TMEP 1203.03. TMEP 1203.03(b)(i). This refusal, for example, has been applied to the mark HEEB for clothing and entertainment services, when the evidence supported the derogatory nature of HEEB in reference to the Jewish community. 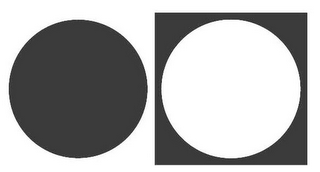 In re Heeb Media LLC, 89 USPQ2d 1071 (TTAB 2008). Is the term COTTON CANDY COMB OVER of a similar nature? Doubtful. (Note - the constitutionality of the disparagement bar under Section 2(a) was recently argued in front of the U.S. Supreme Court and a decision is due any day). the fame or reputation of the person or institution is such that, when the mark is used with the applicant’s goods or services, a connection with the person or institution would be presumed. TMEP 1203.03(c)(i). Again, the mark here is COTTON CANDY COMB OVER, not anything mentioning Trump. Is COTTON CANDY COMB OVER a "close approximation of, the name of identity previously used by another person" and "would be recognized as such, in that it points uniquely and unmistakably to that person or institution"? You be the judge of the above. We'll find out what the examining attorney assigned to this application at the USPTO thinks when this application is assigned in approximately three months. By now you may have heard about the viral RompHim sensation - a romper designed specifically for men and possibly the hottest summer trend of 2017. The guys behind the newest fashion trend and their business entity, Aced Clothing, LLC, sought to raise $10,000 for their idea on Kickstarter but have greatly exceeded that, raising $365,563 so far. Aced Clothing filed a federal trademark application for ROMPHIM on March 29, 2017 that covers "Headwear; Jackets; Pants; Rompers; Shorts; Tank tops; Wearable garments and clothing, namely, shirts; Jackets." 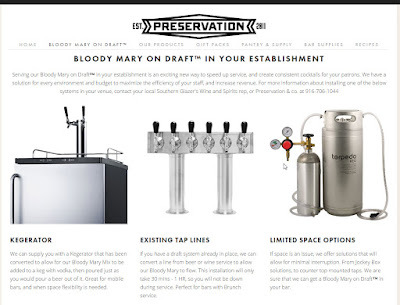 As of the date of this post, it has not been assigned to an examining attorney at the U.S. Patent and Trademark Office for review. A more recent trademark application by Aced Clothing, LLC, however, suggests the company might not be solely focused on men after all. 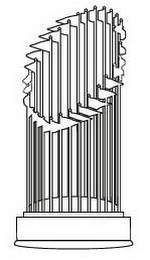 On May 16th, it filed another federal trademark application for ROMPHER (get it?). Similar to the ROMPHIM application, this application also covers various clothing items, although the specific items vary slightly. The ROMPHER application covers "Bathing suits; Dresses; Hats; Pants; Rompers; Shirts; Shorts; Skirts; Tank tops." Aced Clothing filed the ROMPHER, and ROMPHIM, applications on an intent to use basis, suggesting it is not yet using these trademarks in commerce but has a bona fide intention to do so in the near future. See TMEP 806.01(b); 15 USC 1051(b). This makes sense because, at least in the case of ROMPHER, it does not appear Aced Clothing is selling these goods yet. Before either of these applications will fully register, Aced Design will need to start selling or shipping the RompHim and RompHer goods in interstate commerce and submit sufficient proof of same to the USPTO. See TMEP 1103. The ROMPHIM trademark application will probably be assigned to an examining attorney at the USPTO within the next month and the ROMPHER application sometime around mid-August (it typically takes around 3 months after an application is filed for it to be assigned to an attorney at the USPTO for review). When assigned, the examining attorney will review the applications and determine whether they should be approved for publication (one of the final phases in the registration process) or, if there is a problem, issue an Office action to which the company will need to respond accordingly. Will RompHer catch on like RompHim? 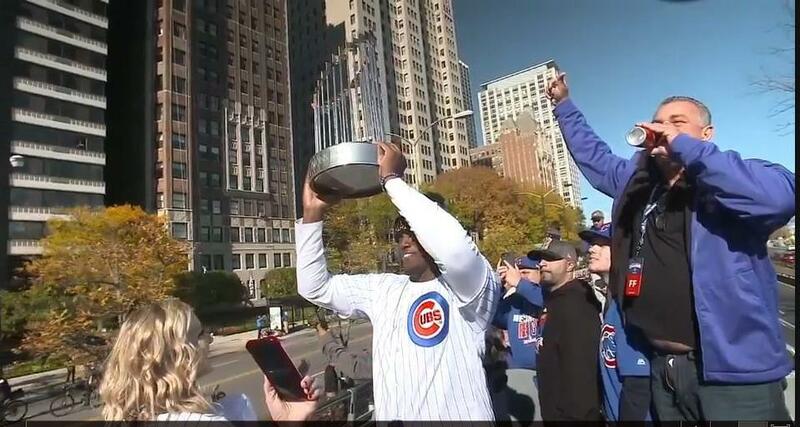 We can only hope. 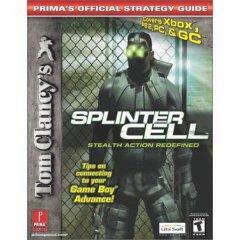 UbiSoft's Tom Clancy's Splinter Cell series has been around for years, boasting six installments of video games over the years, the last of which UbiSoft released in 2013. A recent federal trademark application for SPLINTER CELL filed by UbiSoft with the U.S. Patent and Trademark Office, however, suggests a new installment may be in the works. Providing a web-based system and on-line portal for gamers to participate in on-line gaming, operation and coordination of game tournaments, leagues and tours for computer game playing purposes; rental and distribution of entertainment content of others, namely, video games, movies and television shows. The application was filed on an intent to use basis, suggesting UbiSoft is not yet using the SPLINTER CELL trademark in conjunction with all the services listed in the application but has a bona fide intention to do so in the near future. TMEP 806.01(b); 15 USC 1051(b). This is the first video game-related SPLINTER CELL trademark application filed by UbiSoft since October 2016. That application covered services similar to those in this most recent one. UbiSoft does already own four federal trademark registrations for SPLINTER CELL going back to 2002, and registrations for SPLINTER CELL CONVICTION, SPLINTER CELL CHAOS THEORY, and SPLINTER CELL DOUBLE AGENT. Although these registrations cover video games, none cover services as expansive as those in the most recent applications, such as eSports competitions or television programs.